Today we’d like to introduce you to Mikael Brandrup. Thanks for sharing your story with us Mikael. So, let’s start at the beginning and we can move on from there. 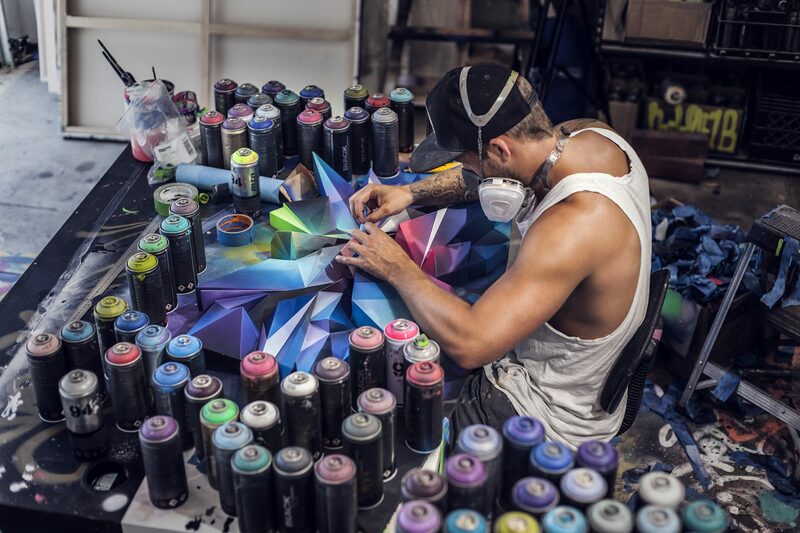 Influenced by his early years as a graffiti artist and working within the urban contemporary genre, Mikael B has developed a signature artistic identity and characteristic expression. 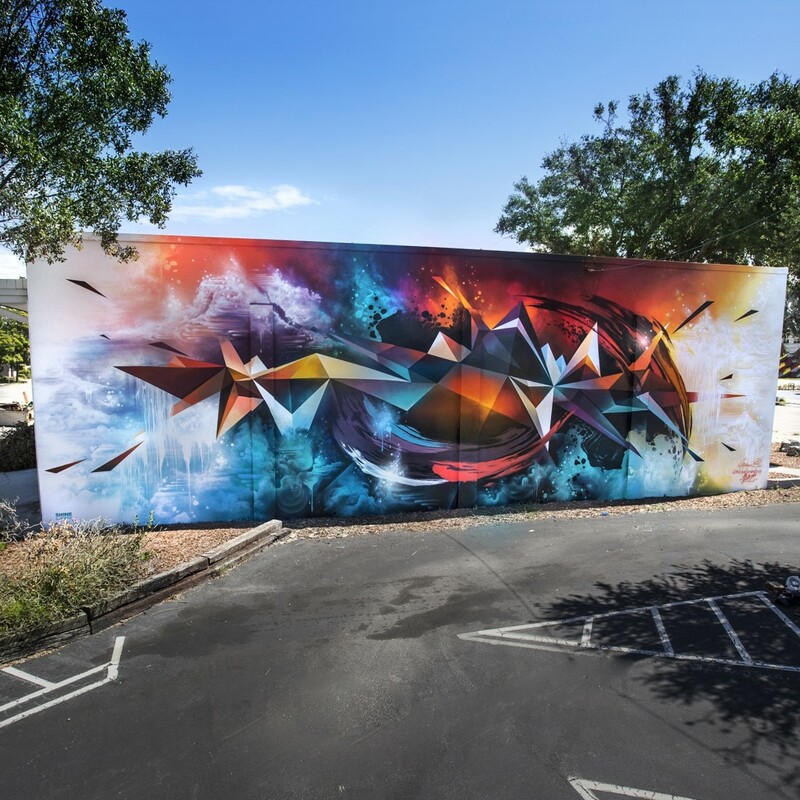 By combining the graphic footprint of wild style graffiti, a complex and intricate genre in which forms, words, and letters are woven together, with bold colors and graphic shapes, he creates a dynamic universe that are akin to musical visualization. 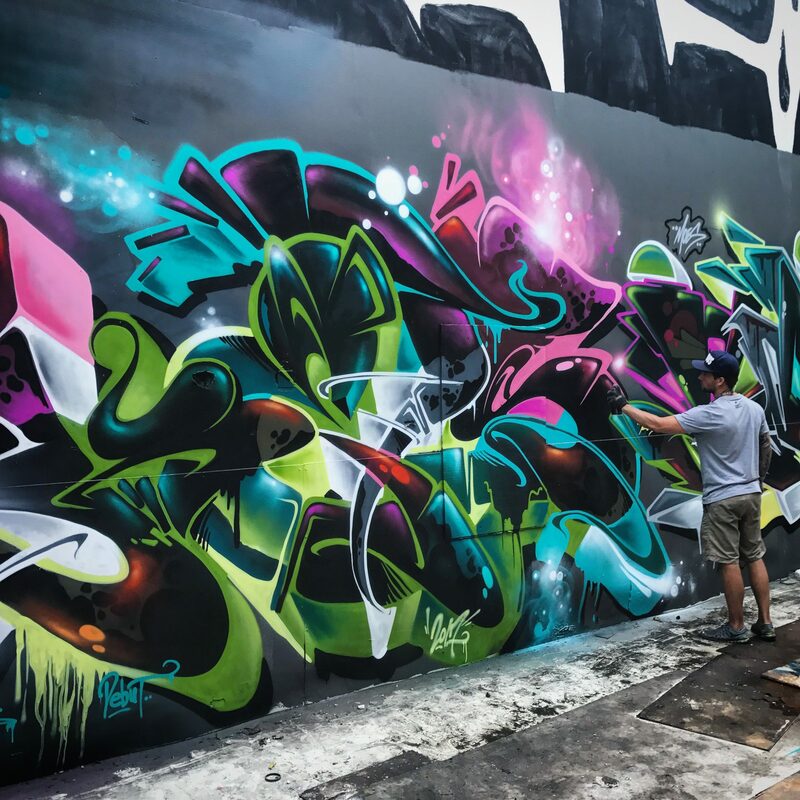 The artist’s sense of colors and their effects play a significant role in each piece, bursting with complimentary colors to further fuel a near overwhelming visual appreciation of his work. 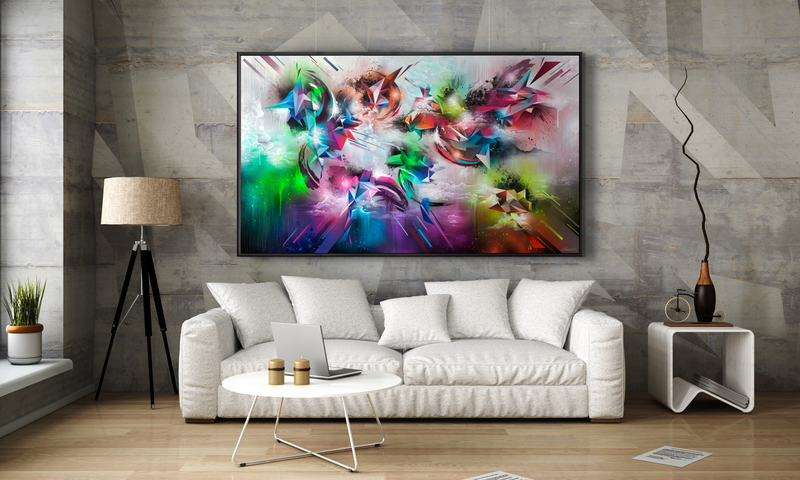 These expressive pieces have a volcanic energy, uncompromising attitude, and inherent candidness which invite interpretations and appeal through their explosive colors and geometric shapes. It is through each piece that Mikael B creates a universe where everything is possible – a notion which goes in line with his personal way of life. As a young boy, Mikael B had an urge to express himself. Attending primary school in the picturesque rural town of Tuse Næs west of Copenhagen, he filled his notebooks with sketches instead of homework. During breaks, he offered his classmates the sketches as tattoos – an offer that was immensely popular. His parents were attentive to his needs, letting him unfold his talent on large plywood panels in the backyard. Soon, his mates asked him to paint the walls of their teenage rooms. 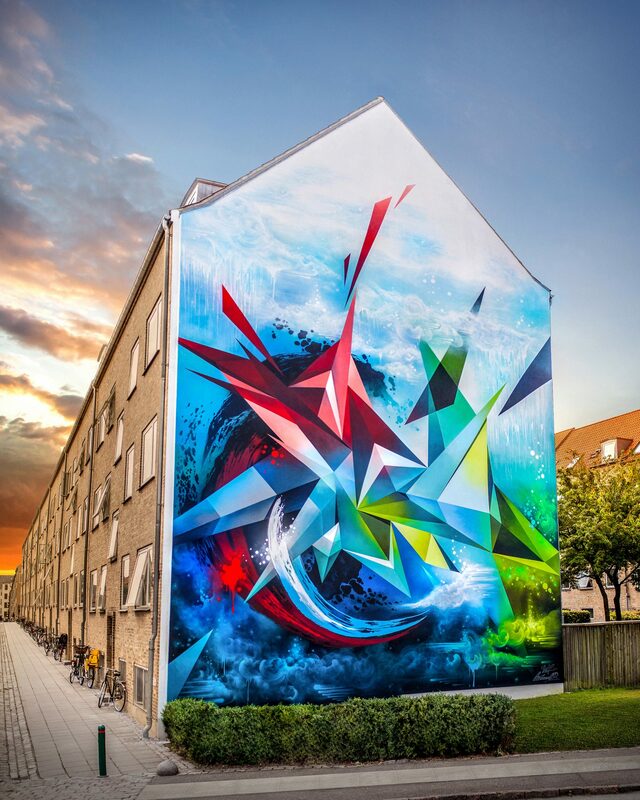 It was no surprise that Mikael B later joined the graffiti milieu of southwest Copenhagen, painting hundreds of walls in just a few years under his alias “KETS”. After leaving military service, still fueled by a passion to express himself in shapes and colors, there was only one possible route that appealed to him: graphic design. Mikael B’s need for independence, however, was so great that halfway through his education he left his internship to found his own design agency: IDentity Provided. Here he helped companies express their identities by designing logotypes, websites, and ultimately creating each company’s individual presentation to the world. 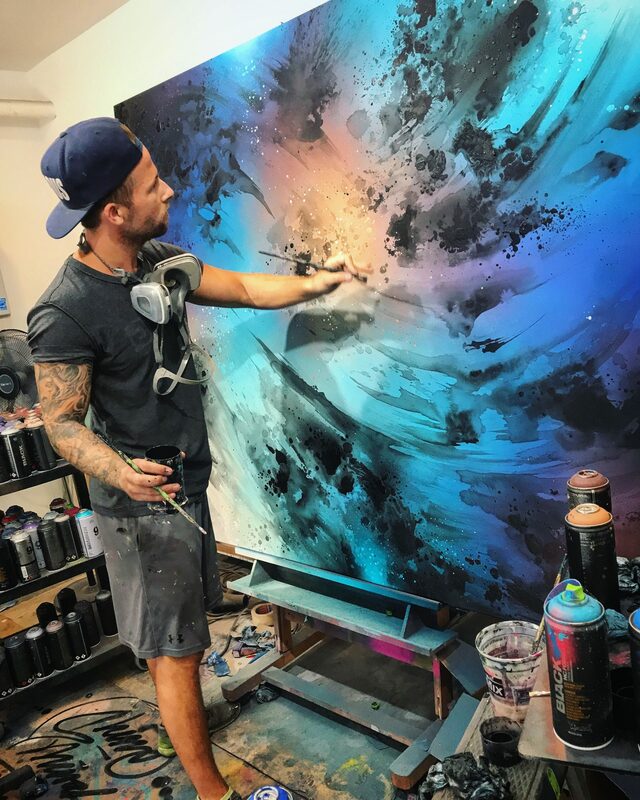 Friends and acquaintances wanted prints, but it was not until a photo of the piece posted on Facebook received 22,000 comments and over one million views that he was convinced to go all in on his art career. He sold the agency and moved to Los Angeles to pursue his dream. In just two years, Mikael B’s dream has become the reality that he had always hoped for. 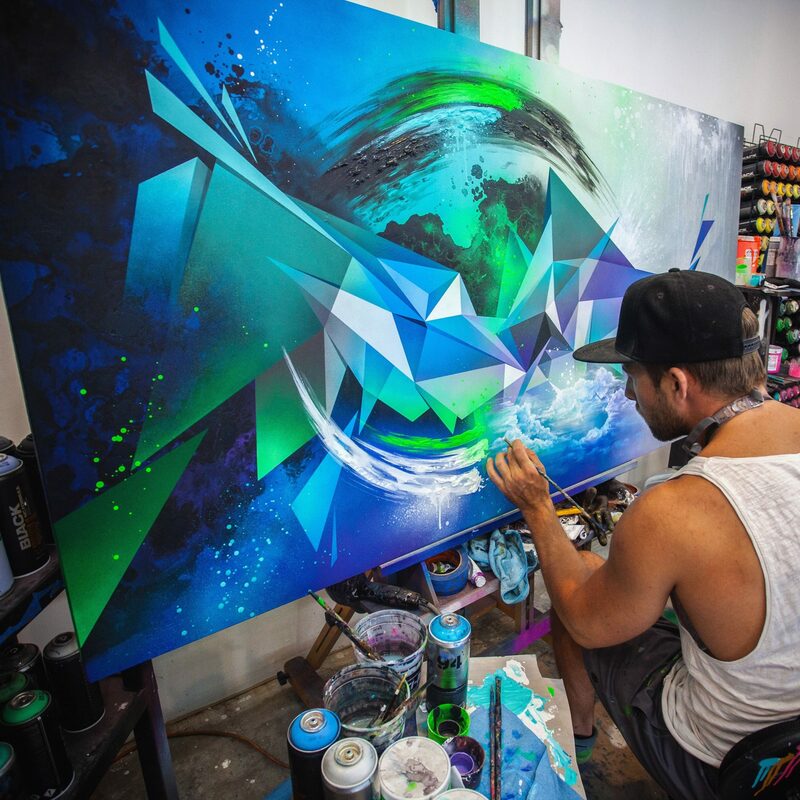 His monograph is bursting with dynamic artworks on canvas and walls, commissioned by clients that include Google, LinkedIn, Nike, and American Express. With numerous gallery exhibitions in his resume, Mikael B has been invited to participate in the renowned art fair Art Basel in Miami. I took one of the biggest decisions in my life almost 4 years ago now. It was to move to LA and live out my dream and passion as an artist in the US. I left everything and came to LA with nothing but passion and determination. Everybody thought I was crazy to escape the safe environment I had in Denmark and move to the other side of the world. But I just had to follow my heart and passion, and wanted to establish and expanding my art business in the US. I had a good thing going on in Europe, and a huge following. But nobody knew me nor my art in the US. So it was like starting all over from scratch. So, to figure out how the art business is different from Europe and establish a new network was a challenge but also to get my name and brand out there. Connecting with people, getting commissions and mural projects and find a studio, place to live and work, hiring people and so on. The list was long! After years of hard work it payed off and I truly feel I’m living my dream right now. Please tell us about Mikael B. Design. 4 years ago, I established Mikael B. 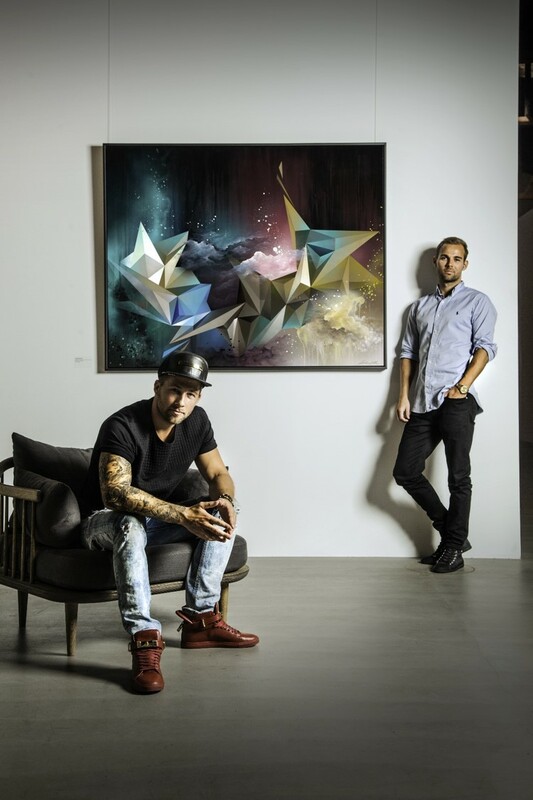 Design with my twin brother and manager Morten Brandrup, with the aim to create an international art brand. In this period, we have built a renowned art brand with an international print business working with galleries and art dealers all over the world. We have a team of 10 people in 4 countries making this possible, with our head quarter in West Hollywood. I believe what really sets me apart is my vibrant abstract works with the notion that everything is possible. My art is very positive, and nothing makes me happier than when I hear how it inspires and motivates people to follow their passion, be present, and forget about worries and negative thoughts. This notion is spreading and motivating people from all over the world continuously. I have a back ground as a graphic designer, and had a design agency in Copenhagen also with my twin brother for 5 years, building brands, visual identities and web campaigns for both national and international brands. The learning and experience from running that agency, has been a big help in building and market our art brand. And we were early on using advanced social media and online strategies and where able build and international online business. Many lessons have been learned along the way. But I wouldn’t do anything differently. It has been learning by doing from day one, giving me valuable experience and knowledge that I wouldn’t do without.